Winter gets really long in these parts and can be a drag some days. For this week's Fitness Friday, here are a few positive points on this season that takes up half of our year! 1. Running in the Snow. (Notice I didn't include wind or sub-zero temps in that subhead) Peaceful, snowy mornings are actually quite beautiful. The unplowed roads even have an extra leg-strengthening effect. 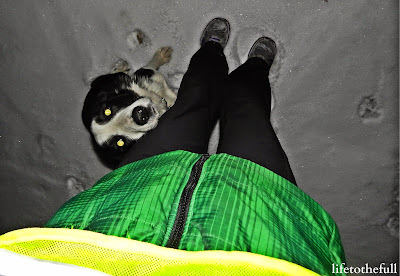 On the days I can force myself outside in the early morning, the dog and I both get a good run in. He needs his exercise, too! I wear a reflective vest; Saul has reflective eye balls. 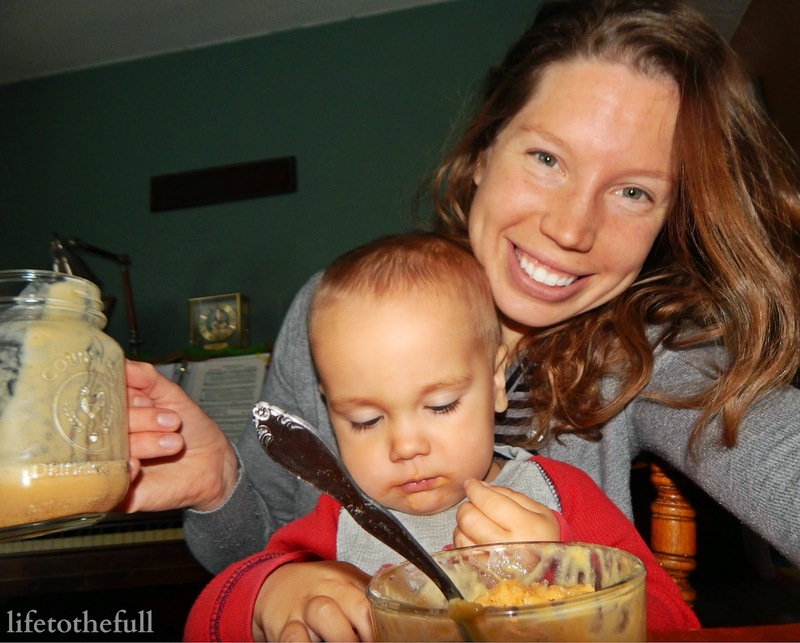 E and I shared a delicious pumpkin smoothie this week. SO GOOD plus it's on the healthy side. Basically anything pumpkin-flavored sounds wonderful right now.Can't wait for the Thanksgiving treats next week! We love our families - both the Minnesotans and the Californians. It gets even better because our families also love food! Check out that buffet!? 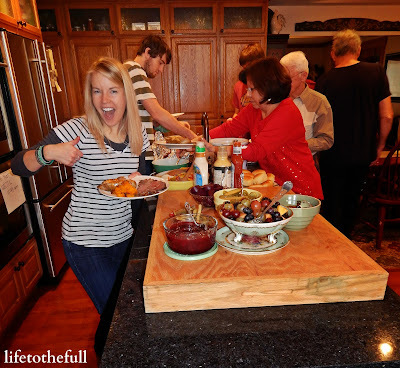 My sis-in-law displaying the showcase of foods at last year's Christmas lunch. 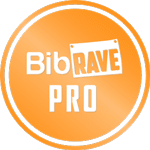 Thinking out goals for next year's running and racing keeps the winter moving along. 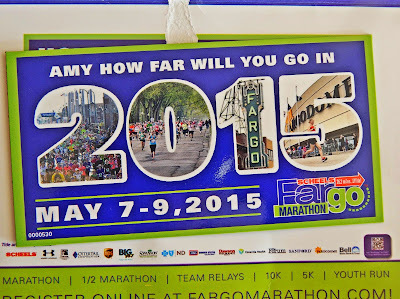 My "races" scheduled for 2015 are Baby #2 being born around June 6th and maybe a half marathon in the fall. 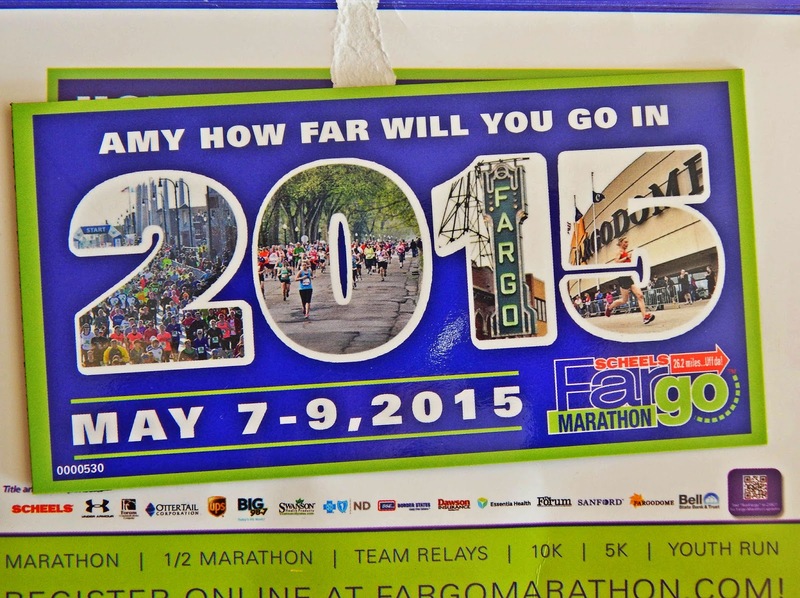 Sorry Fargo, Lord-willing, I will be super pregnant and probably not running that far in early May! Cold weather means that when we actually do make it outside, E is exhausted by the time we get back in and we both need to warm up! In theory, this should mean more cuddle time. 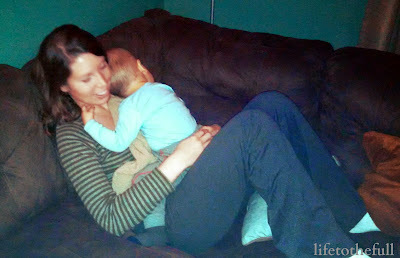 Then again, he is a toddler and far too busy for mommy cuddles most of the day. This is what happens when he tries to skip naptime. Any races planned for 2015?